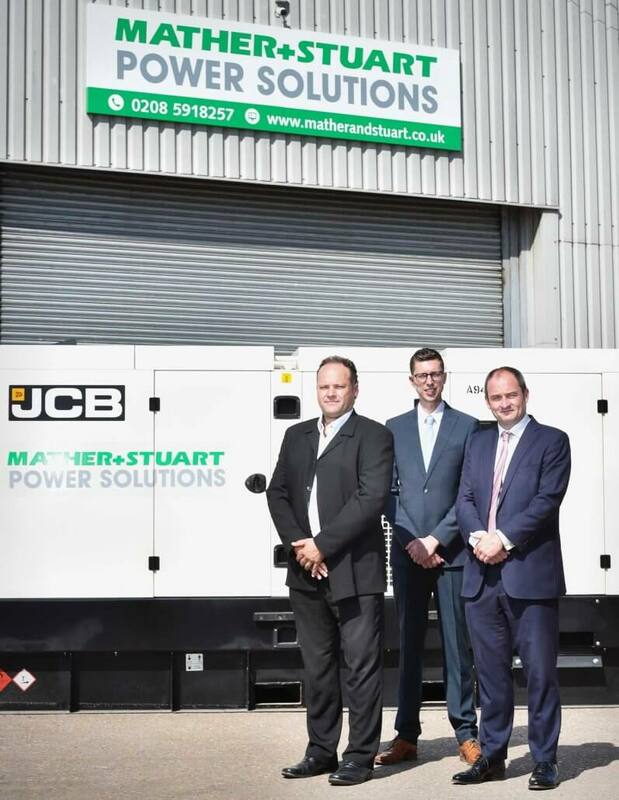 Mather + Stuart Power Solutions, the power generation division of leading equipment rental firm A-Plant, has placed an order with Greenshields JCB. The order for 124 rental specification RS generators, meets the demands of its rapid fleet expansion. In a deal worth £4.5 million, the company will take JCB G150RS models, the G200RS and the G250RS. The deal also includes the larger G300RS and the G500RS model. All of the generators are from JCB Power Products’ rental-specific RS series. They are powered by efficient, reliable Stage IIIA diesel engines and equipped with bund alarms and DSE 8610 synchronising control panels. All of the RS generators come as standard with the JCB LiveLink for Power telematics system, providing a total fleet management solution for the rental company. The system monitors fuel use, operating times, coolant temperatures, light loading, phase imbalance and many other operating parameters, allowing fleet and depot managers to maximise utilisation and availability.